I haven't read as many books as I would have liked to this year, but there have been some truly excellent reads of 2018. Some I read for my book club, which is entirely wonderful to be a part of, and some I read to my kids, but most I read entirely for pleasure. And what a pleasurable year of reading it was! Almost Sisters by Joshilyn Jackson. 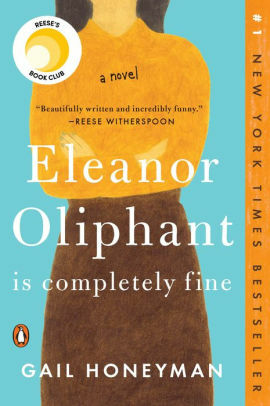 My thoughts: I read this with my book club, and I liked it, although almost a year later it hasn’t really stayed with me. 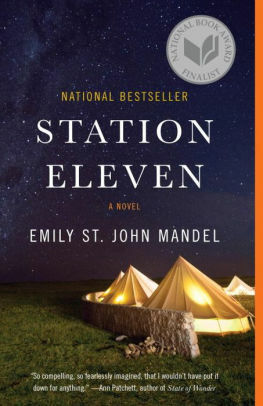 I do remember that there was an element of comic-book writing in it that I really liked and reminded me a bit of Station Eleven. The Fifth Season by N.K. Jemisin. My thoughts: THIS BOOK. I have not enjoyed an adult fantasy so much in years. This was easily one of my favorite books ever, not just of the year. The characters were so well drawn. The world was so cool and so tough and so beautiful done. It was also one of the best uses of second person in a novel that I’ve ever seen. SOOOOOOO good. 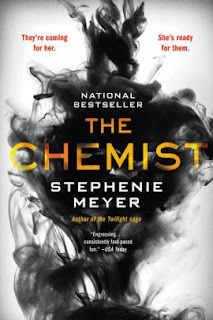 The Chemist by Stephanie Meyer. My thoughts: A book club read. Again, I liked it, although my favorite SM is still far and away The Host. I liked the dogs, the lethal heroine, and the solid lack of a love triangle. The Obelisk Gate by N.K. Jemison. 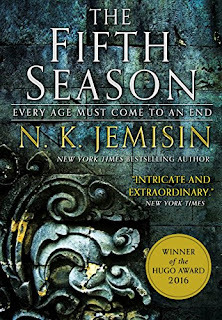 Sequel to The Fifth Season, and I liked it maybe even better than the first book. My thoughts: I loved this one so much I ended up blurbing it. It had history, romance and magic in perfect proportion. Far From the Free by Robin Benway. My thoughts: Robin talked to me about this book when she came to speak to my novel writing class one semester a few years ago, and I’d been excited to read it ever since. 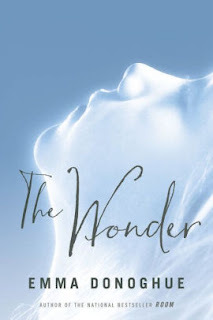 It’s a book about adoption, and since I am adopted, I was bracing myself to feel very emotional and to connect deeply with this novel . . . but I just didn’t. I don’t know why. I don’t know if there was a part of my brain that was more critical than I would usually be, because I have my own about-adoption novel coming out next fall, or if this adoption experience is simply so far outside of my own experience that it didn’t resonate with me, but I didn’t love this one the way I expected to. Still, it’s an excellent book. The point of view and the writing are beautifully done. I loved the use of the name “Peach,” for instance. A very good read. The Stone Sky by N.K. Jemisin. This was the finale to the series. She just keeps raising the stakes and finding new cool things to throw at us. I will be reading all of her other work now. Station Eleven by Emily St. John Mandel (reread). My thoughts: This was my pick for book club. I listened to the audio this time, and was struck once again by how lyrical and moving and well plotted this book is, with this large cast of interwoven characters all dealing with the end of the world. What I love about this book is that, even though it’s a post apocalyptic novel, it ends with hope. 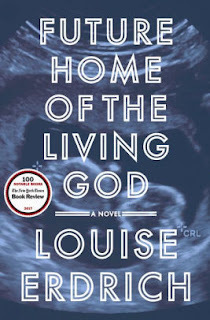 Future Home of the Living God by Louise Erdrich. My thoughts: I have loved Erdrich since college (which was a long time ago!) 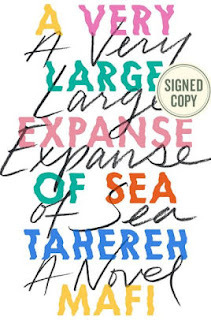 and I will read anything she puts out into the world, but this book was so special and of course gorgeous in the writing, and it felt so relevant to the world we’re living in now. Elinor Oliphant is Completely Fine by Gail Honeyman. My thoughts: Another book club read that I liked. I thought Elinor was heartfelt and entertaining to hang out with. 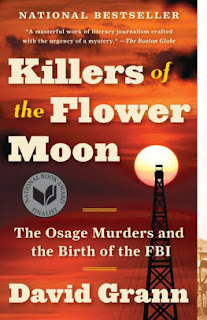 Killers of the Flower Moon by David Grann (non-fiction). My thoughts: This book was appalling, fascinating, and eye-opening, and I would recommend it to anyone who likes non-fiction. Mr. Dickens and His Carol by Samantha Silva. 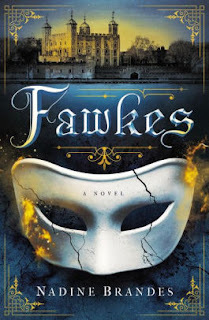 My thoughts: I did an event with Samantha last year called “What the Dickens?” (snerk) where she did the most amazing reading (with the accent and everything) from this book. 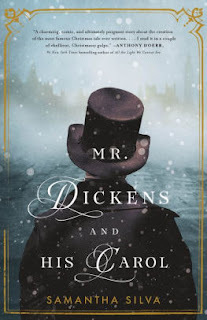 It took me a while to finish because I got busy at the beginning of the year, but I thought it was very well done and the Dickens-lover in me was thrilled at the way CD and his family can to life in this novel. Of course I loved it. My Big Fat Zombie Goldfish by Mo O’Hara. When Tom's big brother decides to become an Evil Scientist, his first experiment involves dunking Frankie the goldfish into toxic green gunk. Tom knows that there is only one thing to do: Zap the fish with a battery and bring him back to life! But there's something weird about the new Frankie. 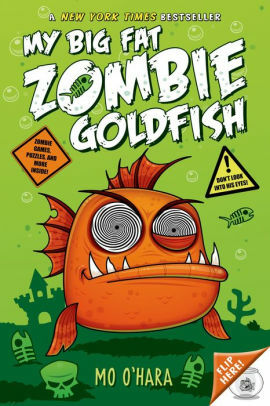 He's now a BIG FAT ZOMBIE GOLDFISH with hypnotic powers . . . and he's out for revenge! My thoughts: I listened to the audio of this on a drive with my kids, and I thought it was super clever and funny and my kids have never been so quiet and enthralled during a drive. My thoughts: I also listened to this one in the car with the kids, which I came to regret, as it has not aged well in terms of its political correctness. The narrator from Cherry Jones was amazing, but I had to stop and discuss racism with the kids at more than one occasion. 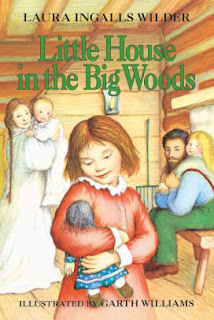 I read these books as a child, and I hadn’t remembered that so much of them is Wilder chronicling how to do the things they did back then: this is how you make maple syrup. This is how you smoke meat. It was really interesting, but again, something that I would have liked to edit a bit. See You in the Cosmos by Jack Cheng. 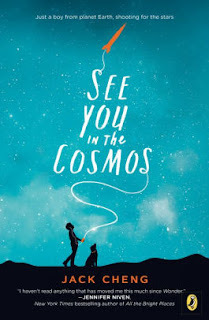 My thoughts: My kids and I loved this one—it was perfect as an audio book, as it is supposed to be a series of recordings from this kid who is trying to enter a rocket competition. The kid who did the narration did a fantastic job. I felt really great about my kids hearing this one, too--it had a lot of good life lessons and examples of empathy. 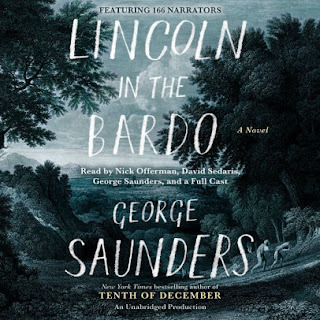 Lincoln in the Bardo by George Saunders (reread). My thoughts: This is one you’ll either love or hate. 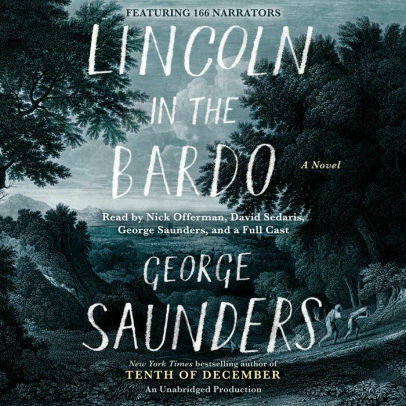 I love it, but I already loved George Saunders. This was just such a cool, interested, creative, and fun way to write a historical novel: one part collection of writings and letters about the subject, some of them contradictory, one part fantastical, funny, and inventive ghost story, and one part heart wrenching drama about what it is like to lose a child. I laughed a lot. I cried several times, especially at the end. I also want to add that I think this may be the best audio book ever produced. It has a cast of over a hundred writers and actors reading the parts, and it is such a beautiful thing to listen to. 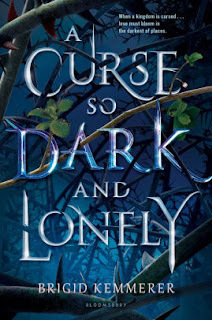 A Curse So Dark and Lonely by Brigid Kemmerer. My thoughts: I was lucky enough to get an ARC of this one, and I really liked it. I am a big fan of Brigid, and I love Beauty and the Beast retellings, so this was a no-brainer thumbs up for me. I liked how the “Beauty” was disabled but it was handled so well. I liked the world building, and the “beast” at the end. Pretty cool. My thoughts: This one went along pretty slowly at first. So much time was spent setting up the situation, which could have been set up much more quickly. I was getting frustrated and starting to feel like we were just rotating over and over the same events . . . and then I got to a scene that made the hairs on the back of my neck stand up and I had to close to the book and do something else for a while, because I obviously couldn’t go right to sleep. 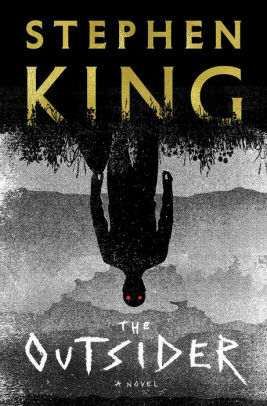 Stephen King is the master. The rest of the book was a wild and terrifying ride. 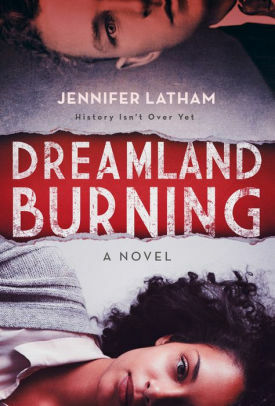 Dreamland Burning by Jennifer Latham. My thoughts: This may have been my favorite YA this year. I loved the historical aspect of it. I loved the mystery, and the way the layers of the mystery were slowly unwrapped. I cared so much about the characters and was so worried for them. I was also genuinely surprised at the end. A great book. 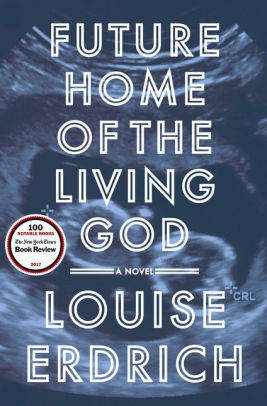 My thoughts: My book club chose this one because it was written by the same woman who wrote The Room, which they loved. But this book feels like the debut literary novel that Donoghue wrote before she wrote The Room. It is way more character than plot driven. My book club was not crazy about this one—it probably got the most tepid response of the year, but I loved it. I thought the main character so flawed and interesting, and the choices she has to make by the end felt so high-stake and heart-wrenching and true. My thoughts: I take it back: this was my fave YA of the year. It was such a heart book—I could feel the author’s heart coming through on almost every page. It felt like such a relevant, important book about love and anger and the way hate affects you. I loved it, loved it, loved it. 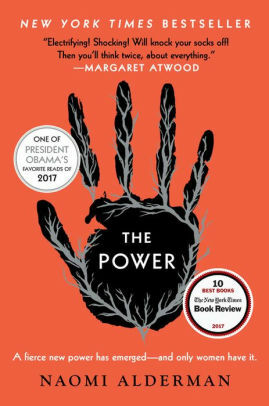 My thoughts: I expected to really like this one, as I thought the premise was so cool: young women suddenly discover that they have the power to use electricity out of their hands, and can now inflict pain and assert this power over the men in their lives. It was a cool story, but I didn’t really connect with any of the characters, so for me if felt like a head book—a story that works on an intellectual level but never really involves the gut. So it was a like, not a love, for me with this one. 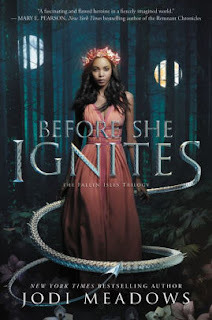 Before She Ignites by Jodi Meadows. 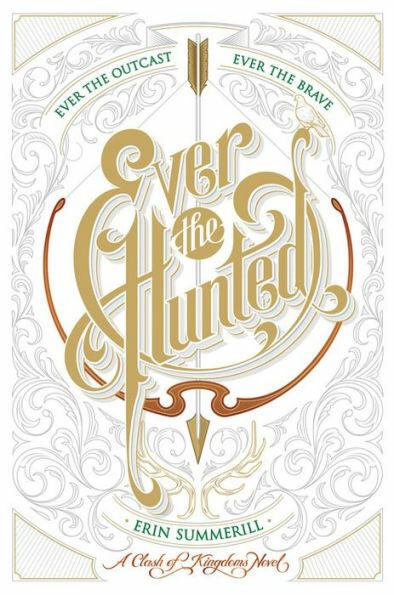 From the New York Times bestselling co-author of My Plain Jane comes a smoldering new fantasy trilogy perfect for fans of Victoria Aveyard and Kristin Cashore about a girl condemned for defending dragons and the inner fire that may be her only chance of escape. 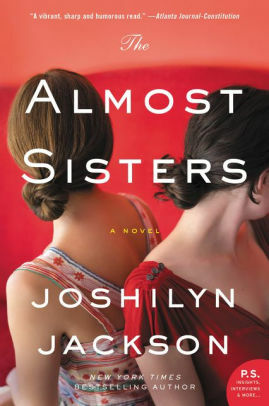 My thoughts: I will sheepishly admit that I was late reading this, as Jodi is one of my best friends and this book came out over a year ago, but I finally read it, and I loved it! I am so jealous of the way Jodi was able to pull off this narrative that moves back and forth from present to past. So good! And even if I didn't know Jodi, I'd want to own this book based on the sheer beauty of the cover alone! 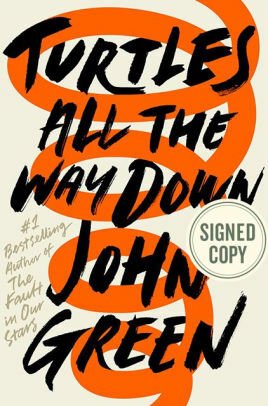 My thoughts: I am a big John Green fan, so I was excited for this one. 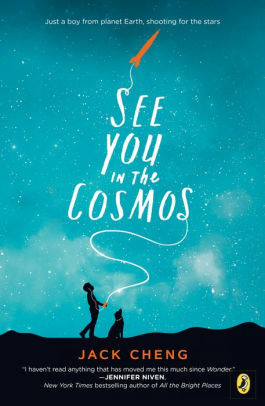 I liked it—solidly liked it—but The Fault In Our Starsremains my favorite of his work, followed by Looking For Alaska. 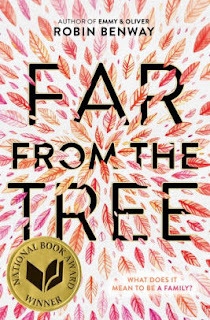 I think I liked this one a little bit less for two reasons: it felt like a head book, a story that was intellectually great but didn’t ever really grab me by the heart strings, even though I felt intensely bad for the main character at times. It also didn’t feel necessary for this character to be a girl—I think I would have preferred that the main character was male, actually, because that would have felt more authentic. I don’t want to blunder into saying that all female characters should feel a certain way, but this one just didn’t feel female. The romance didn’t connect for me, either. Boo. I will try to backpeddle by saying that this book is John Green at his witty best, though. The lines and the dialogue were so sharp and honest and funny, which is why I heart John Green. A tale of gods, kings, immortal fame, and the human heart, The Song of Achilles is a dazzling literary feat that brilliantly reimagines Homer’s enduring masterwork, The Iliad. 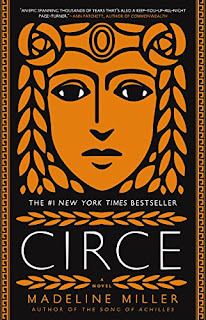 An action-packed adventure, an epic love story, a marvelously conceived and executed page-turner, Miller’s monumental debut novel has already earned resounding acclaim from some of contemporary fiction’s brightest lights—and fans of Mary Renault, Bernard Cornwell, Steven Pressfield, and Colleen McCullough’s Masters of Rome series will delight in this unforgettable journey back to ancient Greece in the Age of Heroes. My thoughts: Oh my gosh, THIS BOOK I LOVED. I missed book club when we discussed this and I am still so bummed about it because I had so many thoughts and feelings about this novel. Every now and then I stumble across what feels like a perfect novel, where the characters and plot and language are all aligned just perfectly, and this novel was that way for me. The language was gorgeous but never purple or overwrought. 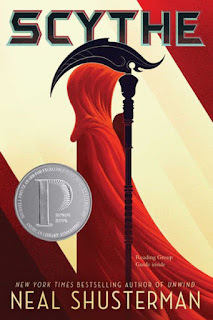 The plot used the reader’s knowledge of the old story of Achilles so masterfully to set up a tense expectation of what was going to happen, and then turn that on its head in the best possible way. The romance felt absolutely spot on painful and wonderful and intense. I was filled with writerly jealousy reading this marvelous book. 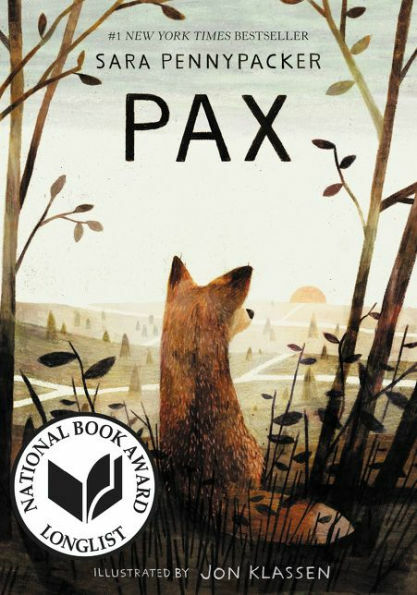 My thoughts: This was a children’s book (or middle grade) that we listened to in the car, and it was my favorite children’s book this year. It was, first of all, such a heart book—I wanted to cry at the end of the first chapter. The movement between the kid and the fox point of view was expertly done, each shift adding to the tension of the overall story. There were so many great side characters and relationships. There was a puppet show that took my breath away. Such an amazing, wonderful book that I would recommend for all ages. Fantastic Mr. Fox by Roald Dahl (reread). 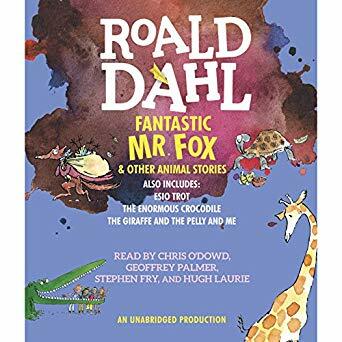 My thoughts: Another audio with the kids, a story I’ve read to them several times, but this time we listened to Chris O’Dowd’s narration, which was hilarious and awesome, although my kids did have a hard time understanding the accents, at times. This also had narration from Quentin Blake, Hugh Laurie and Stephen Fry. I mean, awesome, right? Liesl & Po by Lauren Oliver. From New York Times bestselling author Lauren Oliver comes a luminous novel that glows with rare magic, ghostly wonders, and a true friendship that lights even the darkest of places. An E. B. White Read-Aloud Honor Book, it’s perfect for fans of the author’s other middle grade novels: The Spindlersand the Curiosity House series. Liesl lives in a tiny attic bedroom, locked away by her cruel stepmother. Her only friends are the shadows and the mice—until one night a ghost named Po appears from the darkness. 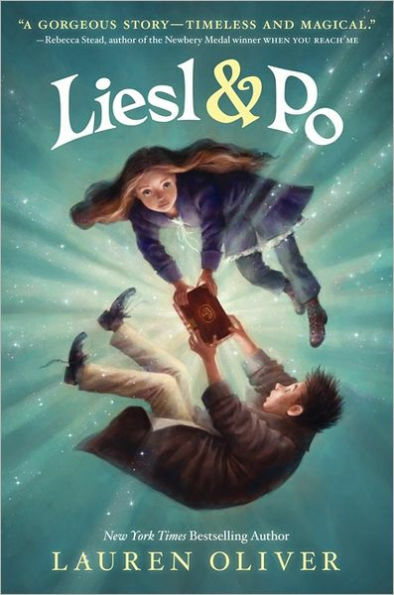 That same evening, an alchemist's apprentice named Will makes an innocent mistake that has tremendous consequences for Liesl and Po, and it draws the three of them together on an extraordinary journey. My thoughts: This was my daughter’s bedtime story for a number of weeks, and she loved it. I thought it was such a creative, heartfelt book about loss and friendship, although it was a bit dark at times and did creep out my seven-year-old a bit. My thoughts: This one was my eleven-year-old son’s bedtime story this year, and he LOVED it. It is definitely dark, but in spite of its serious subject matter it is never gratuitous or gory. I was super into it too, and we are currently in the middle of the second book. Which I am told is going to scar us both for life. My thoughts: I have been watching the vlogbrothers for years, and love Hank, so I was excited when his book came out. I really, really liked it. It felt fresh and relevant and original in a way I hadn’t seen before. I loved the concept. I really liked the narration. However, it was still a 4 and not 5 star for me, weirdly for the same reasons I didn’t five star John Green’s latest book: 1) because I didn’t feel emotionally connected to any of the characters even though I liked all of them, and 2) because it felt super unnecessary for April to be female. Outside of some mention of crying and some makeup and clothing decisions, she did not strike me as particularly female in nature. That is, again, not to say that all women have to feel “feminine,” but there is a way that women experience the world that I didn’t sense in April. It would have felt just as good to me (and probably better) if April had just been a male equivalent. But I feel like writers are encouraged to tell stories from a female point of view because more readers are women, so it widens the readership. Anyway, it was still a remarkable book, and I look forward to what HG will give us in the future. My thoughts: I’ve been hearing about this book for years, more recently from my husband, who has read it twice and loved it both times. This is definitely the case where the hype diminished the experience for me a little. 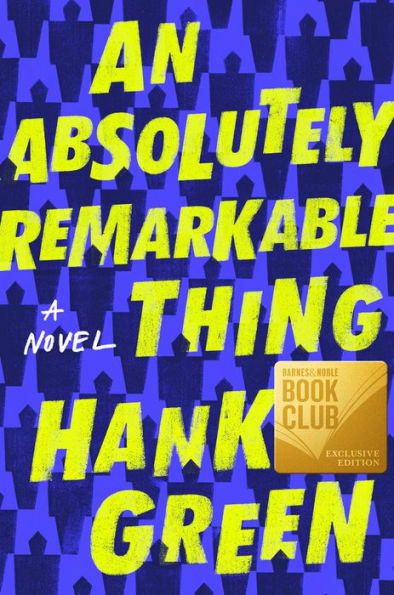 When you read blurbs from Hank Green and Lin Manual Miranda and George R. Freaking Martin about how amazing this book is and how your life is not really complete unless you’ve read it, you expect it to blow your socks off. My socks are still on. Boo. I did enjoy the book. I thought the main character was very interesting, and the world building was quite good, and I ate the story up like candy. (It was more than 700 pages, and I read it in a day.) I like those epic fantasies where we get so much of the character’s life, a sense of their full arc, their childhoods, their history, their driving force. I haven’t felt this abruptly dropped by the ending of a book since Robin McKinley’s Pegasus, which I have still not recovered from. I need to read the second book. I have a feeling that will make it all better. I hope. 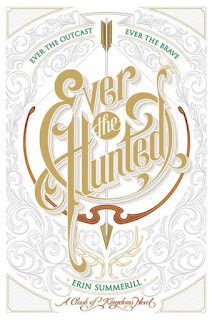 Ever The Hunted by Erin Summerill. 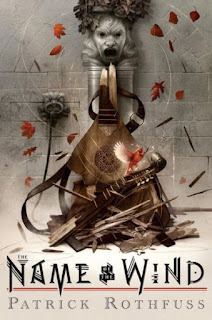 My thoughts: This lovely debut rocked me out of the malaise I felt after reading The Name of the Wind. It was such a good little fantasy: solid world building, a heartful, brave main character with such cool powers, and a sweet romance. It also had a satisfying ending, which I was craving. I will be reading the next one. 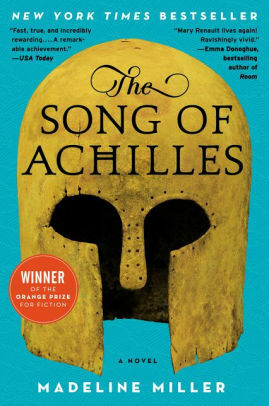 My thoughts: It's not a surprise that I loved this book, as I really loved The Song of Achilles. 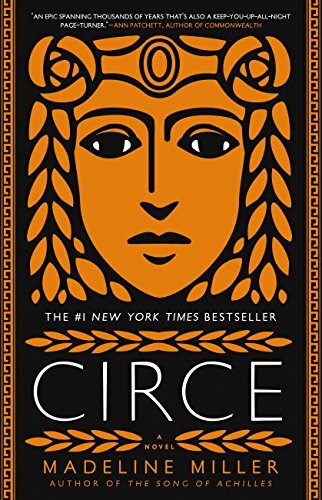 I thought this one was a little less compelling for me, probably because it lacked that central tension that came from knowing what would happen in the story of Achilles, while I could remember very little about Circe. But it was still such an amazing book, and had one of the most perfect, fitting endings of any book I've read in a long time. I will carrying this character around with me for a long time. So that's it, 2018 in books. What books should I read for next year? What should I listen to on audio, instead? What books would be great to read to my seven-year old daughter and eleven-year-old son?